According to the Content Marketing Institute’s report “2016 Benchmarks, Budgets, and Trends—North America,” 94 percent of B2B marketers use LinkedIn to distribute content. But only 51 percent pay to promote their posts on social platforms. And of those who do, only 45 percent say those ads are effective. Evidently, there’s a big disconnect. Almost every B2B brand is on LinkedIn, but they’re not so sure how to make the most of LinkedIn’s paid options, which are rich with opportunities to hyper-target B2B audiences. Just like regular LinkedIn updates, LinkedIn Sponsored Updates are posts published by your account. These posts can include links, images, videos, or just text. The difference is you can put money behind your Sponsored Updates to target a specific audience outside of the people who follow your company page. To help marketers make the most of their Sponsored Updates, LinkedIn studied the top-performing sponsored content of 2016 so far. 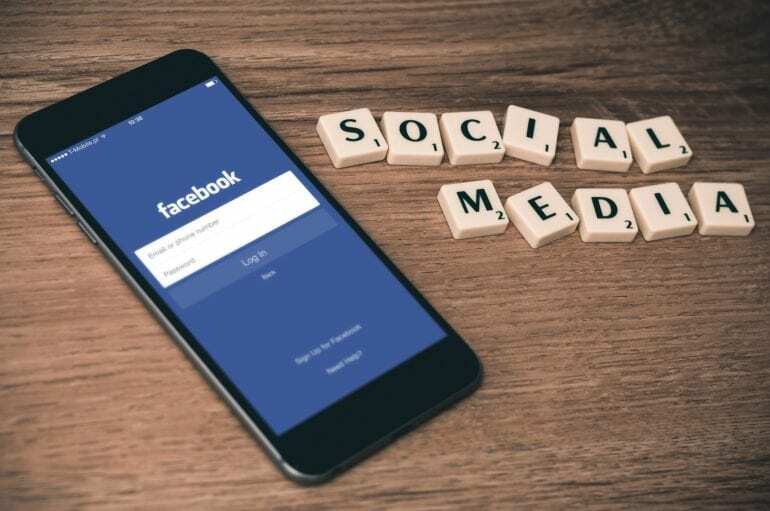 These sponsored posts targeted an audience in Europe, the Middle East, or Africa; garnered at least 25,000 impressions; and were ranked by engagement rate (clicks + social actions). Here’s what marketers can take away. The most shareable posts use language that directly addresses the reader. Some of the easiest ways to do this are to ask questions to your audience and use the second-person point of view. For instance, this sponsored post by ProOpinion, an online community of business professionals, does both, inviting the reader to click on the link and even answer the question in the comments. Additionally, don’t be afraid to use industry-specific language, especially for B2B audiences. As LinkedIn’s report notes, address your audience like a friend or business partner. Would you use certain terms or colloquialisms? If you’re unsure how to personalize your posts, you can always experiment with different types of questions and language and optimize based on how readers respond. While you might want to stay away from self-declared “thought leaders,” bonafide influencers and experts can boost your brand’s credibility and provide important information to your readers. If these experts work for your company, ask them to contribute a blog post that you can link to on LinkedIn, or even invite them to write a piece directly on the platform. If these influencers are outside of your company, connect with them on LinkedIn. 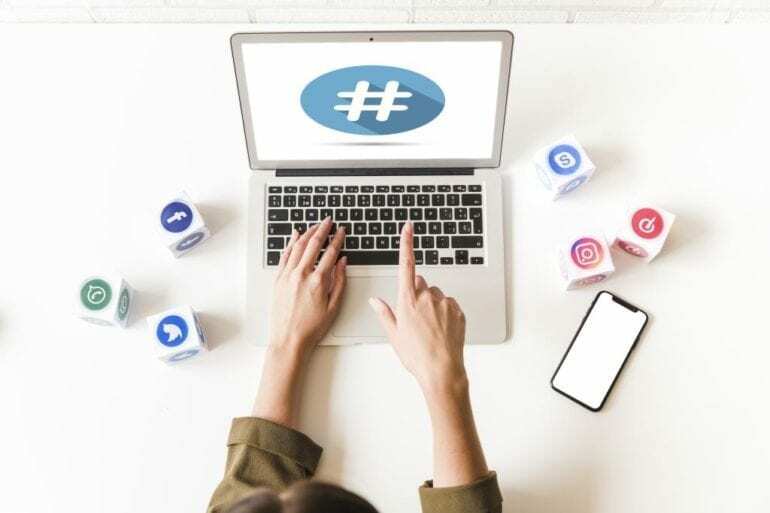 See if they’d be interested in writing a guest post, sharing your sponsored update with their followers, or even commenting on your update and starting a conversation with your audience. While Facebook has taken steps to discourage people from posting YouTube videos (or videos from any third-party platform) on its network, LinkedIn still plays nice with YouTube clips in newsfeeds. 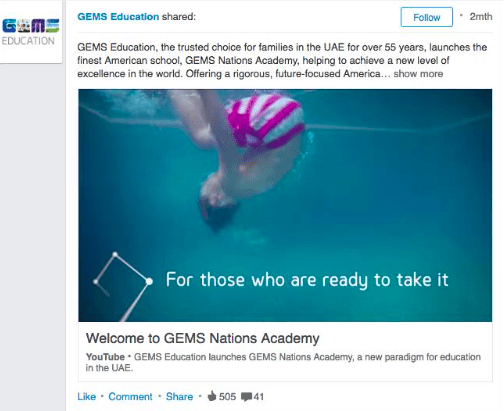 For example, international education company GEMS Education posted a short caption and video introducing viewers to its new GEMS Nations Academy. Since YouTube videos play directly on the platform, your audience won’t have to leave their feed and load an entirely different page in order to watch the video. Here’s a great blurb from the LinkedIn report: “‘B2B’ & ‘Lifestyle’ are not mutually exclusive.” After all, B2B buyers are people too. They don’t just want to read boring business news all day; they also want to see the human side of your brand. And LinkedIn is the perfect place to show it, whether you’re providing an exclusive look at a product launch or behind-the-scenes pictures from a company event. 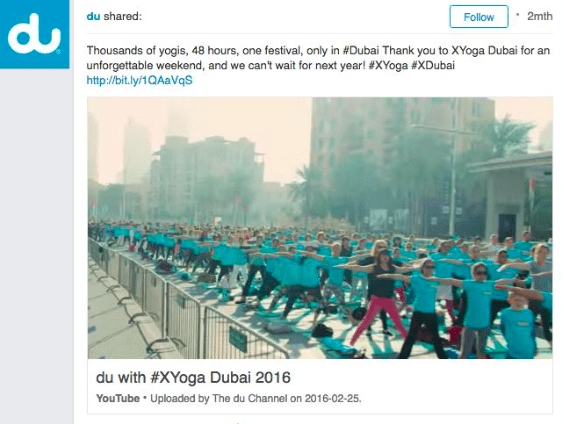 For example, Du, a telecommunications company based in Dubai, shared a YouTube video from its #XYoga weekend retreat, featuring thousands of yogis. 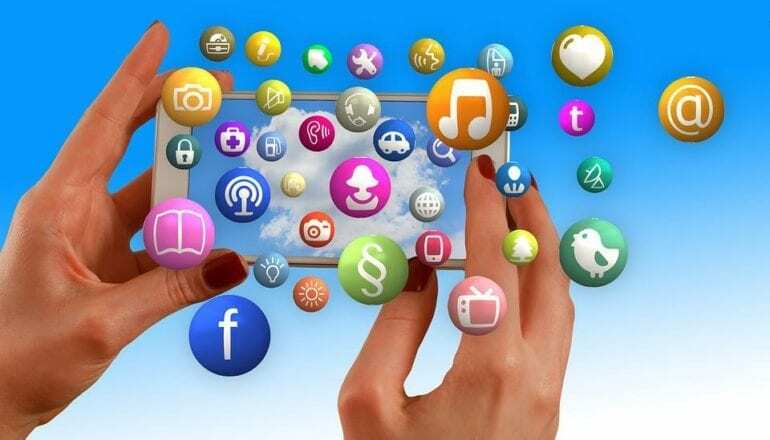 Understandably, you may only want to promote posts that link back to your brand site. But remember: Anything that helps your customer can, in turn, help your brand. Even if it comes from a different source. 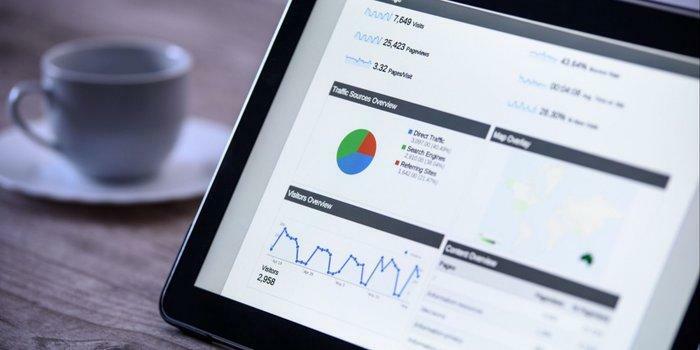 According to a study by SAVO Group, 74 percent of B2B buyers chose a company that provided useful information and helped them during the purchasing process. So if you found a new report from another publication that might be helpful to your followers, find a way to share it. If you saw a cool video that speaks to your audience’s interests, sponsor an update about it, and maybe even link to a relevant blog post from your company. No matter where the content comes from, if it educates or entertains your audience, they’ll be thankful for it. This article originally appeared on The Content Strategist. Amanda Walgrove is the Social Media Editor at Contently. She writes about content marketing, social trends, and web entertainment.